Do you find yourself already making your Christmas list and checking it off? I have to admit I have already been doing my shopping and making my plans. Then once and a while I stop and remember the purpose of Thanksgiving and my need to give it my full attention and celebrate all that is good in my world instead of rushing to try and get ahead of the game. 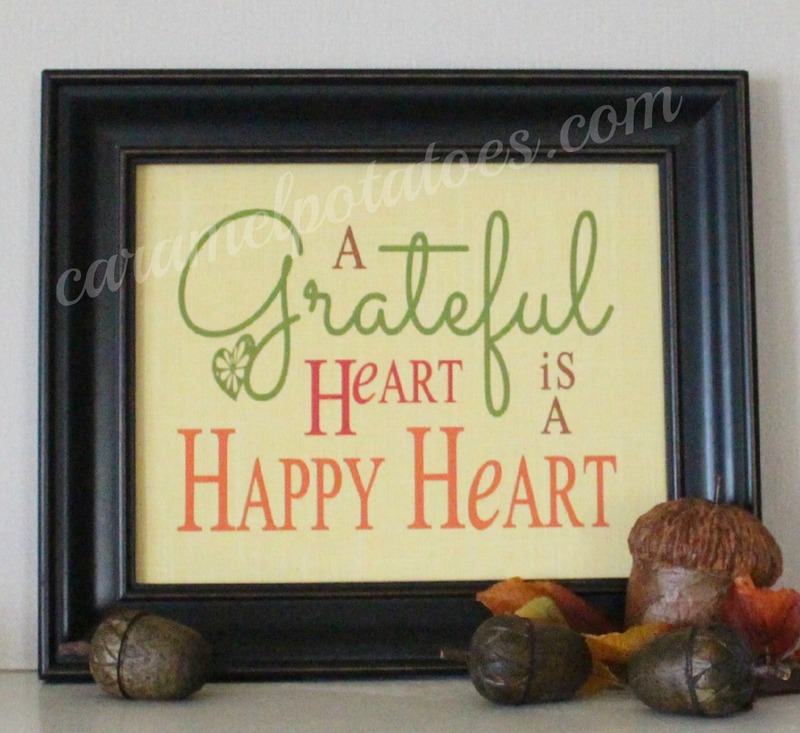 I love this saying: A grateful heart is a happy heart; so I made up this printable to remind me to count my blessings and truly give thanks each day- it does make me happy. I hope it will do the same for you. You can download a free 8×10 or 5×7 print to frame and add to your Thanksgiving Celebration. 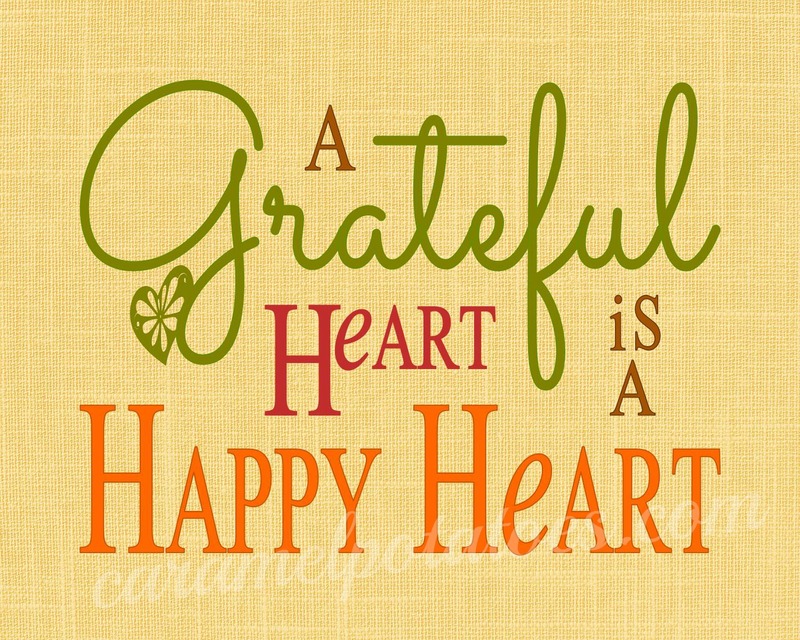 Happy Thanksgiving – Remember to Count your Blessings!